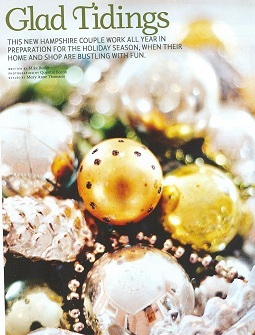 We are honored to be chosen as one of Country Home Magazine's favorite holiday homes nationally. 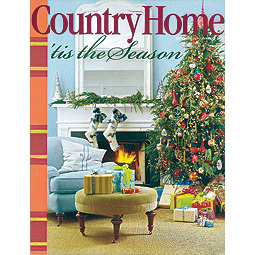 You can find this article in the Country Home Magazine Collectors Issue - Our Best Holiday Homes. 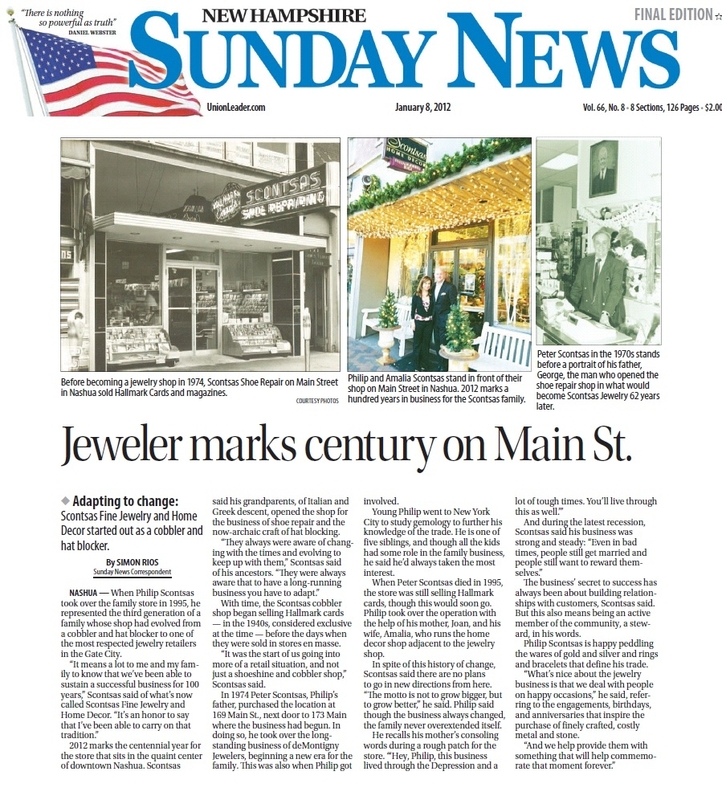 We're excited to have been featured in the Nashua Telegraph for our 100th year celebration! 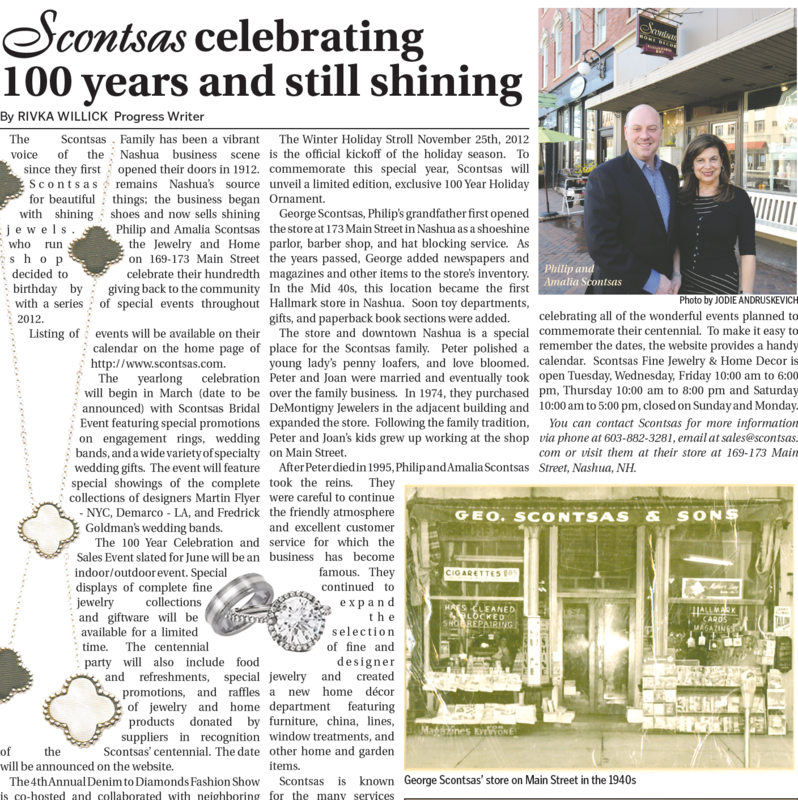 We're excited to have been featured in the Union Leader for our 100th year celebration! At a cocktail party thrown by designer Rachel Ashwell at her New York City Store, we were fortunate to meet people from Country Home Magazine. After some conversation and a lot of wine, we arranged to have photos of our home and store considered for their magazine. As luck would have it, the “powers to be” liked what they saw and decided a Christmas story was in line. Once again we cleaned and decorated for the stylist and photography team. After two days the shots were completed and our spread was on its way. That following holiday season, the magazine was published and we couldn’t have been happier. The recognition was flattering and helped to bring a whole new audience to us. 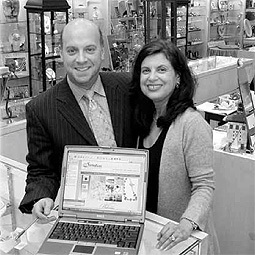 In December of 2002, we had the honor of having our home photographed by the famed photography team of Steve Gross and Sue Daley. These photos originally shot for Country Living Gardner’s Christmas issue. The Christmas issue was dropped and our photos ended not being used but resold. To our great surprise, the folks at Good Housekeeping purchased them. Imagine our surprise when we saw the feature. We were thrilled with both the photos and the story. How lucky are we! 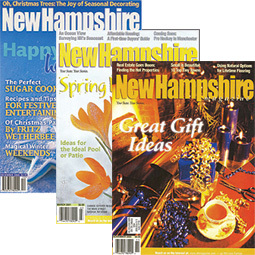 We're excited to have been featured in New Hampshire Magazine multiple times! We're excited to have been featured in the Nashua Telegraph!